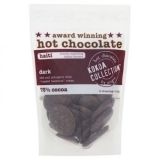 Retail packet of Kokoa Collection hot chocolate tablets. 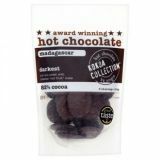 Venezula is a classic vegan hot chocolate with 58% cocoa, light and sweet with fruity notes. 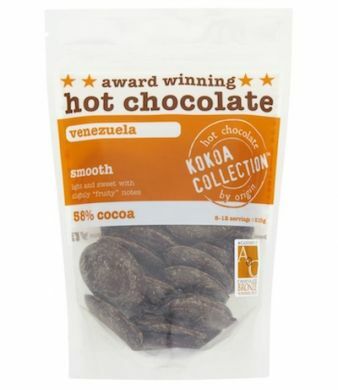 The Venezuelan cocoa we use for this hot chocolate are a mix of two varieties criollo and trinitario beans. They are selected from three quite beautiful regions - Sucre, Sur de Lago & Barlovento.